In an industry where cooperative gameplay is tacked onto nearly every game just for the hell of it, it’s refreshing to see a game where it is the primary focus. All too often, coop is given the short end of the stick – added merely to grab a few more sales from suckers like me. 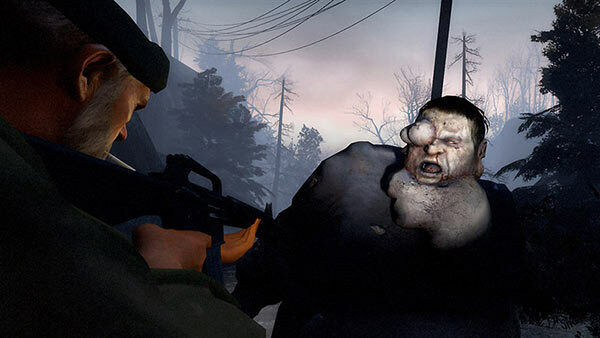 In Left 4 Dead, Valve has created a cooperative FPS with their traditional polish and balance. The versus mode, whether originally intended to be “tacked on” or not, is surprisingly fun, making it a good game for small versus games as well. Left 4 Dead is what I’d call a running-survival game. In a location filled with zombies, a team of four survivors must make their way from point A to point B. In between the points, there are a few safe houses, which break up the action. The four human players need to stick together and make good use of the environment to survive the trek, as the zombies will quickly trap or surround any individuals who stray too far from the rest. The zombies, weapons, and supplies the survivors encounter are randomly generated based on the current situation – if the players are weakened and running out of medical supplies, the game will ease up somewhat, whereas a group of strong players will meet much tougher resistance. The result is a fun cooperative game that plays differently each time, even on the same campaign. The main reason for players to stick together is the “special” zombies – Hunters, Smokers, Boomers, Witches, and Tanks. Each of these is highly dangerous to a single character. Hunters can pin down a player, quickly killing unless another player knocks them off. Smokers can grab a character from afar, dragging him or her away from the rest of the team, and likewise leave the human unable to act. Boomers can vomit on the humans, attracting hordes of zombies from all unseen corners of the map. They explode with the same gooey substance, making them extremely dangerous unless handled delicately. The less common Witch can be heard crying by herself from afar. If a survivor steps too close, or happens to shine a flashlight near her, she will immediately get up and charge at the offending player. The witch does more than enough damage to knock a player down and kill him within seconds. Finally, the Tank is a huge muscular zombie which can knock players a good distance, or throw large pieces of rubble at them. In certain areas, it can knock players off rooftops – effectively killing them in one hit – or hit what would normally be scenery – cars, forklifts, dumpsters – into players. It takes a lot of firepower to take down Tanks, but they are fairly rare in ordinary games. The special zombies, even when controlled by computers, often work in groups and can be deadly to a team that doesn’t work together. 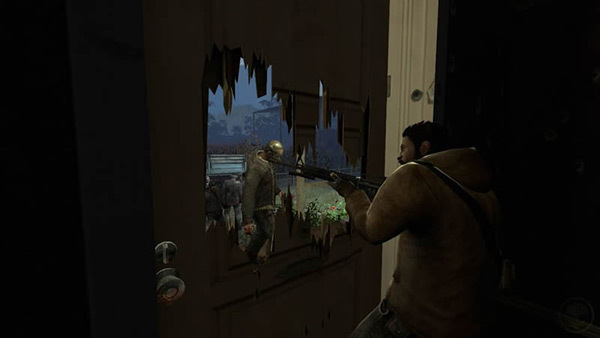 Between the special zombies and the hordes of normal zombies, players will frequently be “knocked down” – especially on higher difficulties. When a player runs out of life, they are considered “knocked down”, and can no longer move or use any weapons except the pistol. Though they can fire at nearby enemies, which is enough to deal with a few ordinary zombies or provide cover against special zombies, a player who is knocked down is nearly dead, and can only be brought back if another player takes the four seconds to bring them back up. This mechanic works really well. It encourages players to stick together, but when things get particularly bad – and they will, sooner or later – the survivors may have to make the decision to leave others behind. In the event players do die, they can “reappear” if their team survives long enough. In standard movie fashion, they “appear” trapped someplace, and when another player opens the right door, they rejoin the team. The intensity of the game picks up at certain points. 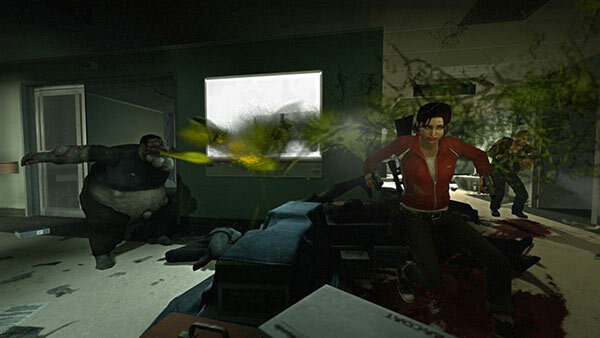 Near the end of most stages, the survivors will often be running in a panic for the safe house. At the end of each campaign is effectively a short defense sequence, where the team has to hold a position against an innumerable wave of zombies as they await rescue. Just as the rescuing vehicle appears a final swarm of zombies will come out of the woodwork in a last-ditch effort to feed on human flesh, which often takes out a couple stragglers as the team makes a break for the pickup point. 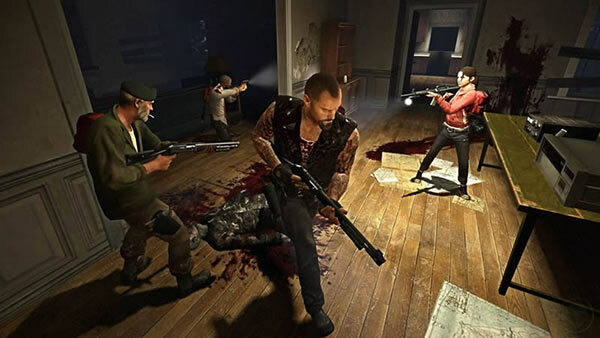 Although it lacks any cohesive story – what little there is being told mostly through hurried scrawlings on the walls in safe houses – the theme of Left 4 Dead is clear. Each of the four campaigns has a movie-style poster, complete with a cheesy tagline. The four survivors are stereotypical zombie movie characters, and are well-voiced as such, occasionally sharing a few words of banter in between helping each other up and gunning down the living dead. Even if the zombies are much faster than in the average zombie movie, the sounds – one of the best-done aspects of the game – add much to the ambiance of a B-horror game. The scrawlings in safe houses are particularly enjoyable: standard movie fare such as arguments over how long it takes the infection to run its course or hurried notes to other survivors about where to meet up. Naturally, you never see another living person outside your four players. Versus mode in Left 4 Dead is a lot of fun because it works so much like the regular “campaign” mode. The difference is that up to four more players join in, and the two teams take turns alternating between the survivor and infected groups. The infected team gets to play the special zombies (the Witch alone being unplayable), with spawn timers and the appearance of Tanks based on how well the survivors are doing. Although you never get to pick your zombie type as infected, you are informed what you will be when you choose to spawn. You’re then allowed to find someplace that the Survivors can’t see and spawn. As an infected team, cooperative planning is just as important as it is for the survivors. A well-planned attack, where a Smoker might drag one player off just as a Boomer comes around the corner, or a pair of Hunters might simultaneously pin two players, is devastating to an uncoordinated survivor team, and certain stages are incredibly fun to play. Left 4 Dead is a great experience on either cooperative or versus mode. It requires much more cooperation than the standard FPS, and is especially fun with a small group of friends. When playing online with random people, results may vary as usual, although most players I’ve seen so far have realized that running off alone just gets them killed. It doesn’t have an incredible depth of mechanics – with only five standard weapons – but the randomized gameplay adds an incredible amount of replayability despite the short campaigns. 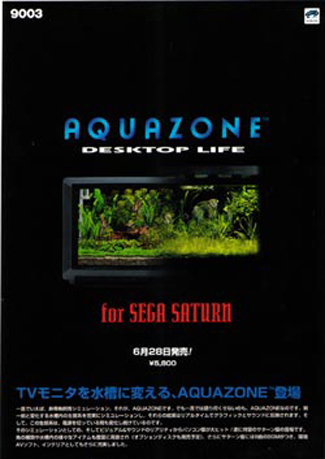 I have this game too! Valve is able to make some of us feel like hypocrites on this one. Left 4 Dead succeeds by doing things that piss me off in other shooters. Zombies will spawn from anywhere regardless of locale, and the game no problems spawning a special zombie around a corner just to make the situation that much stickier. I don’t have a problem with this, because it is emulating zombie films. Impossible situations occur because they are interesting – there’s no need for plausible explanations. On the other hand, having an infinite number of soldiers spawn from the space of a closet in Call of Duty doesn’t make sense in a setting that strives so much for realism. There is also the fact that Left 4 Dead is more of an arcade experience than it is a traditional shooter. There’s no goal to strive for other than to survive and win on any difficulty. There is nothing to unlock, no story to complete – the satisfaction comes simply from playing with others and coming out on top. I like that a lot, and it makes certain tricks and gotchas make sense. The “story” in the game is the graffitti lining the safehouse walls, and that’s all we really need. Also, the procedural AI that spawns zombies really is good. L4D won’t last ages, but playing each campaign once is simply not enough. Going through again truly is entertaining, especially on the harder difficulties where even standard zombies can kill you in seconds. The game lacks co-op gimmicks like in Gears, where two players must do something in tandem to proceed, instead literally forcing you to work together to win. My only complaints are that each campaign is too long for a single sitting, and that the friendly AI is smart up until you need them to take the appropriate action (ie they are good at healing only when it isn’t vital). They also don’t use explosives. I’ve also read that the actors recorded about a thousand lines of dialogue, and while some of the banter won’t be as frequent, it is nice to hear some of the non vital quips be consistently fresh. Kudos to Valve. I knew they’d succeed, but I am glad to see them try and evolve a trend that gaming continues to love but loathes to improve. One of my friends is pushing me hard to get this. My big decision is 360 or PC? Ahhh! My friend is on the PC, but he’s not THAT good a friend. Anyone know what the quality of online teammates on each platform? GJ: This is one of the few FPS games I’ve played where I think the console wins. The biggest reason being the XBox live community. I’ve had no problems finding three other people to play with even when my friends are all offline. I’ve had a problem once and it was easily rectified by booting and blocking the offender, something I’ve always found a little harder to do when running a PC-based game. Not having played on the PC I can’t really speak to the size of the community, but this game was pushed hard for the 360 so I’d wager that’s where the most players are. Either way, it’s an awesome game and you’d be hard pressed to not have fun. Enjoy! Well, being a Valve game, there are a ton of PC players, but the sheer ease of the 360 community, coupled with the luxury of couch based play make it a great way to play. As to their quality, it is tough to say. I’ve yet to play L4D with random folks, but I’ve heard it is slightly better than other games. The PC is going to home a lot of good players, but they can be dicks about their console counterparts. Both platforms seem to be victim of exploits too. Gaming is just becoming a wretched hive everywhere.